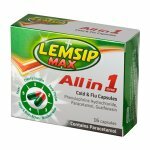 Lemsip Max Day & Night Cold Flu Relief Capsules contains a combination of ingredients which are effective in relieving the symptoms associated with colds and flu, including relief of aches and pains, sore throat; headache; nasal congestion and lowering of temperature. 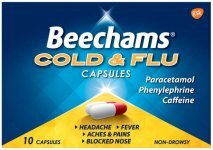 Paracetamol is a well known painkiller (analgesic). 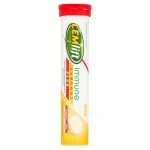 It is effective against aches and pains, including a headache, and can also reduce a fever (antipyretic). 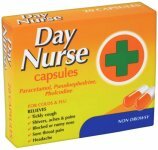 The Day capsule contains the extra ingredient caffeine, which acts as a mild stimulant to relieve fatigue and drowsiness during the day. The Night capsule which contains paracetamol and phenylephrine hydrochloride helps allow sleep through relief of nasal congestion. 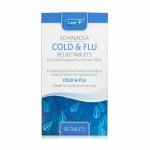 If the symptoms of your cold or flu persist for more than three days, or worsen, consult your doctor or pharmacist. 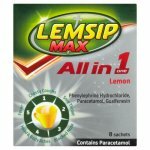 Each Lemsip Max red and yellow Day capsule contains the active ingredients: Paracetamol 500 mg, caffeine 25 mg and phenylephrine hydrochloride 6.1 mg. The other ingredients are: Starch, croscarmellose sodium, sodium laurilsulfate, magnesium stearate, sterilised talc, gelatin, titanium dioxide (El71), patent blue V (E131), erythrosin (E127), shellac, quinoline yellow (El04), and aluminium hydroxide. 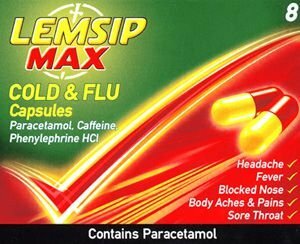 Each Lemsip Max blue and red Night capsules: Paracetamol 500mg and phenylephrine hydrochloride 6.1mg. The other ingredients are: Starch, croscarmellose sodium, sodium laurilsulfate, magnesium stearate, sterilised talc, gelatin, titanium dioxide (E171), quinoline yellow (E104), patent blue V (E131), erythrosin (E127), shellac, tartrazine and aluminium hydroxide.